Our guests have been having great fun both with the fabulous snow of the 2018 season and with the facilities on offer in the chalet. As always we have been looking to see how we can improve our guests' enjoyment still further and have been listening to their feedback. From December 2018 we will be providing several new complementary services. Visit our Services page for full details of the whole offer. Crèmant ‘on demand’ - lovely dry French bubbly, as much as you like! Complimentary spirits from our bar, including international brands and craft gin. Somelier selected wine pairing with every meal. 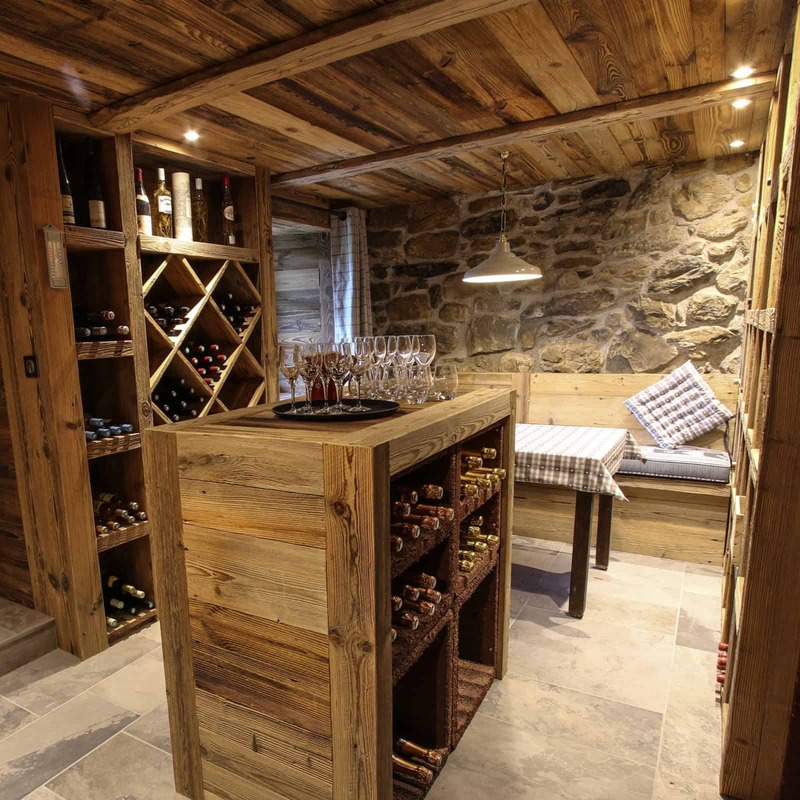 Visit the carnotzet and select from around 25 different wines, all included in the price!